Fall Volleyball | Darien YMCA Sports Dept. For beginners and the experienced. 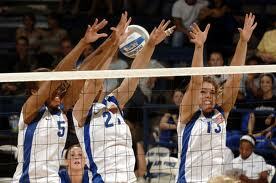 This level will emphasize the basic fundamental skills of volleyball. 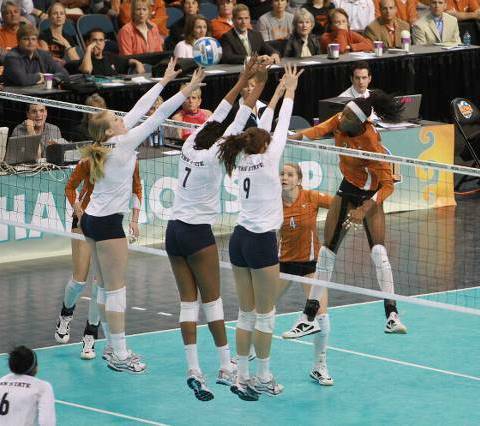 Athletes will learn how to pass, set, spike, dig and serve. Progressive drills and mini-games will be used to help give athletes a better understanding of volleyball. This level will help prepare athletes planning to play competitively at the high school level and for those who just want to learn the sport. All activities will focus on developing confidence and skill while promoting enjoyment of the sport. Our program will be lead by Erin McHugh. Erin played volleyball locally at Stamford High School where she was voted team captain, All-FCIAC and All-State. She went on to play at Division 1 Long Island University again being voted team captain and All-NEC. Erin still continues to play competitively in multiple adult leagues. Begins September 12. Ends November 7. No class October 31. Begins September 17. Ends November 5.